As a student, faculty, or staff at Portland State University, you may borrow books from PSU Library as well as from our 36 partner libraries in the Orbis Cascade Alliance, also known as Summit libraries. 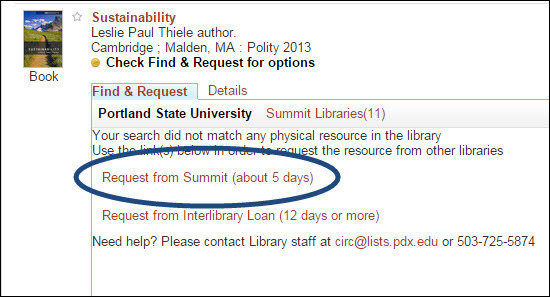 Starting on Tuesday, January 20, borrowing books from Summit libraries will be even easier: you will be able to request Summit items from within the main PSU Library catalog (rather than navigating to a different system through WorldCat). 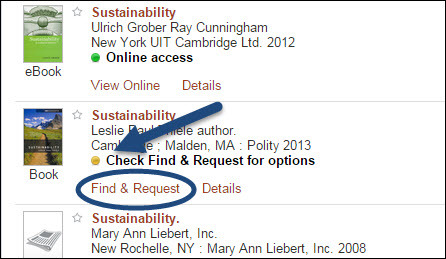 When you search the library catalog, the results have a green, yellow, or red dot. Green dot items are those available at PSU Library. Yellow dot items are usually materials available at a Summit library. Note! If your request is for an item, volume, or part of a multi-part item, please indicate this in the “Volume” field. For example: “Volume 37,” or “CD.” Place one request for each item, volume, or part that you need. You can always check your Summit requests through My Accounts. This change to Summit borrowing is a result of our transition to a catalog shared by all of the 37 libraries in the Orbis Cascade Alliance. If you have questions, please ask a librarian for help. Do you have feedback for us about our new catalog and Summit borrowing? Please use this feedback form. Many thanks to library staff in Resource Sharing, Access Services, and Library Technologies who have been working hard to make this transition happen. Thanks also to University of Washington University Libraries for sharing their information about the transition with us so we could better educate PSU Library users.